Learning About A-Fib: "A True Experience of Input, Input, Input!" 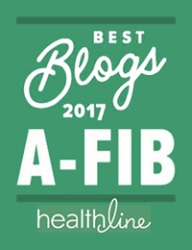 Advice from patients now free from the burden of A-Fib: Learn all you can about Atrial Fibrillation before making decisions. “Upon questioning [my new EP]…I didn’t have a warm fuzzy feeling. 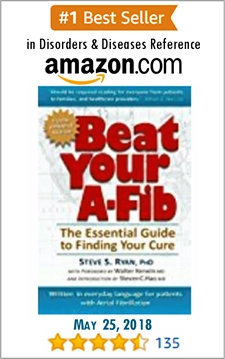 However, I found everything I needed to know (and even what I didn’t want to know) when I came across A-Fib.com, Stopafib.org, and the best support from the A-Fib support group. “I am relying on his [EP’s] extensive knowledge to help me in a field where I am no expert. My gut said to ‘no longer trust’ this supposed best electrophysiologist at the hospital and search for an alternative path. “While in the hospital, I questioned my cardio doctor about treatment options other than medication; He told me there were surgical procedures, but they had very low success rates (WRONG!). 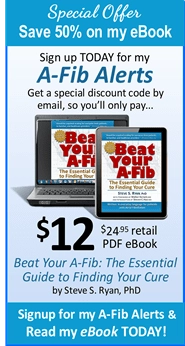 Here at A-Fib.com we offer you a plethera of experiences to learn about Atrial Fibrillation. Check out our “Where to Start” page to begin. 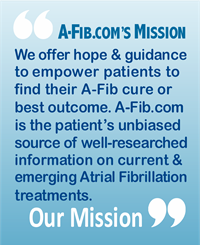 If you are newly diagnosed or new to our website, you can start with our Overview of Atrial Fibrillation. It introduces you to all the main topics of this website. Then visit our Frequently Asked Questions (FAQs) section. We answer common patients’ questions. 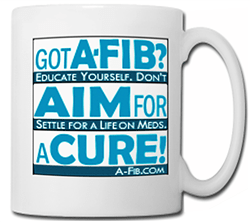 Also, visit our A-Fib Video Library with short clips at the Introductory Level. Along the way, refer to our Glossary of medical terms as needed. 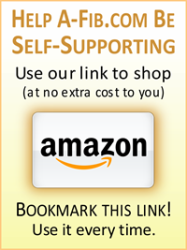 Go to our “Where to Start” page.